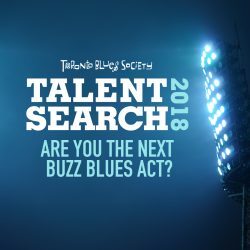 On Saturday, November 25, 1995 at 8 pm the Toronto Blues Society will host the 9th annual Women’s Blues Revue at Trinity St. Paul’s United Church, 427 Bloor St. W. in Toronto. 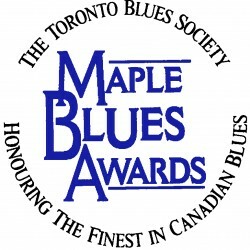 The TBS Women’s Blues Revue has become an incomparable Canadian institution. 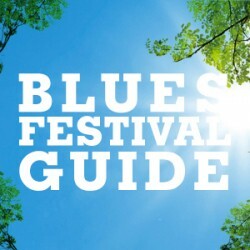 Each year since its inception, TBS members have organized a phenomenally successful event profiling Canadian Blues women vocalists backed by some of our finest musicians. 1995 is no different as the Women’s Blues Revue features multi-talented artists such as Diana Braithwaite, Maureen Brown, Shirley Eikhard, Sue Foley, Thando Hyman, Liberty Silver and Tobi Lark. In anticipation of this year’s event I had the pleasure of speaking with Tobi Lark while she visted Toronto recently on a house hunting trip. The soft-spoken and humble Lark, originally born as Bessie Gupton in Alabama and then raised in Detroit, Michigan, is taking Toronto’s Jazz and Blues circuit by storm. Well, Tobi Lark has definitely lived and experienced the glory and the pains of life. After working with BB King, her ambrosial vocals also embellished performances with the Impressions, the Four Tops, Ben E. King, Wilson Pickett, King Curtis, Cannonball Adderley, Duke Ellington, among others. In the late 60’s Lark moved to Montreal with her young son after separating from her husband, where she left her mark at clubs like Rockhead’s and then after performances at EXPO ’67 moved to Toronto to work with Ronnie Hawkins. Soon after her arrival she was selected to play a lead role in the musical HAIR. From there Lark created the hugely successful Armageddon Revue at the Blue Orchid. Audiences have known her through stage and television performance with the Toronto Symphony or with the likes of Kenny Rogers. But few of us have been there during her downtimes when her son died; when her son’s father died; when she was ill; or the tribulations of single parenting. Lark’s voice reflects the wisdom of a woman who’s returned from the height of painful experience and a woman who understands the depth of her own power. 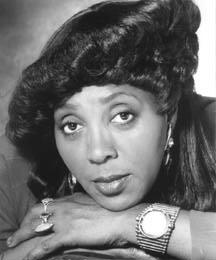 Whether singing Chicago Blues, Mississippi Blues, Jazz, Pop or Gospel, Lark is confident about her soulful renditions. Impressed with advances made by women in the music industry, Lark strongly identifies with other vocalists notorious for doing things “my way”. Looking toward a promising future as she prepares to move back to Toronto from the Windsor/Detroit area, Lark is particularly excited about plans to perform reggae tunes combining Blues and Gospel. Lark is also in the process of confirming a distribution deal for her live CD which was recorded at Toronto’s Judy Jazz club in the Spring 1995. Lark reminds me in some ways of another mighty Blues woman Billie Holiday – a woman who, despite narrow definitions of Blues and Jazz, always sings in the spirit of the Blues. Perhaps this is because Lark’s southern roots remain, proudly, with her.